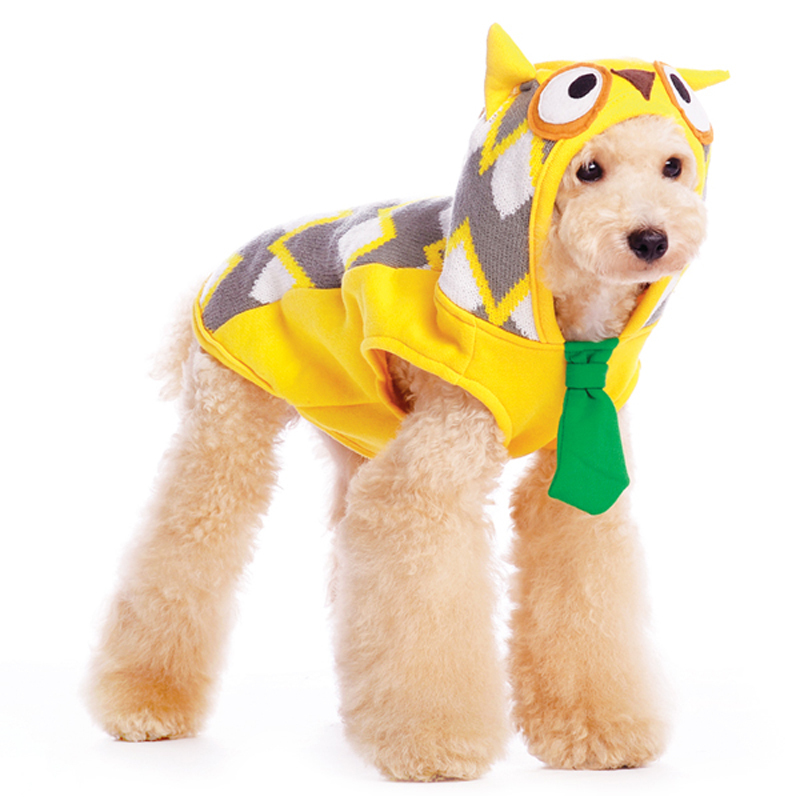 Have a hoot of a good time this year in the Owl Dog Sweatshirt by Dogo! Keep your dog safe at night in this bright Owl Dog Sweatshirt by Dogo. 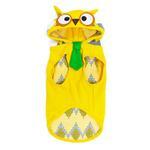 Yellow hooded tank sweatshirt has a fun zig zag pattern on back with owl eyes and ears to keep people alerted. Green accent tie adds some class to your friend. Leash hole for easy attachment. Posted On 06/21/18 by J.A. from Schaumburg, IL Yes, J.A. recommends this product! looks incredible in her perfectly fitted owl hoodie of exceptional quality. Could do w/o dangling tie. Posted On 10/03/16 by Celeste G from Livonia, MI Yes, Celeste G recommends this product! Nice and heavy sweater true to size. Fits my baby perfectly. Will wear this a lot through the Halloween season. Posted On 07/12/15 by Kelley F from Iowa City, IA Yes, Kelley F recommends this product! I had been watching this, waiting until our size was instock. 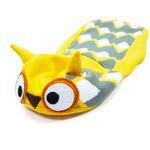 Im so glad I kept an eye on it because it is absolutely adorable!!! I love everything about this site. They have a huge variety of items and always have what I'm looking for. The sizing charts are always easy to understand and the fit when the items arrive is always perfect. The ease of the site and the fast shipping make it the best online pet supplier I've ever encountered and I have gone through many. I have a service dog and so I'm always in need of something dog related; and like I stated before, Baxter Boo always seems to have what I'm looking for and is my one stop shopping site. I will always shop here first and I highly recommend this site.